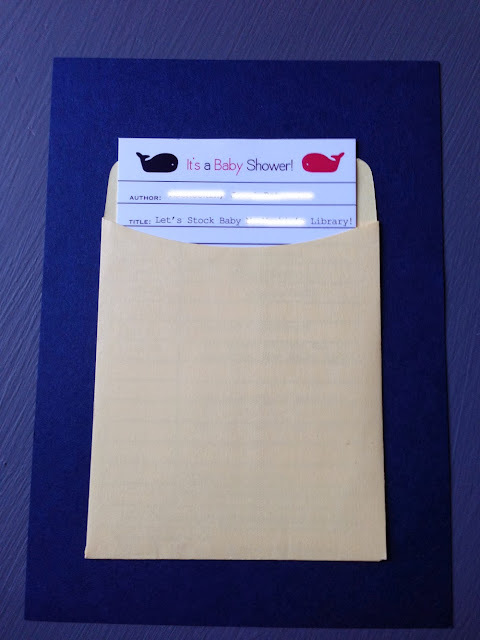 Carissa of Carissa Nee Designs was nice enough to design the baby shower invitations for us. We stuck with the navy & fuchsia color scheme and used a whale theme, inspired by crib bedding that the mother-to-be had registered for. 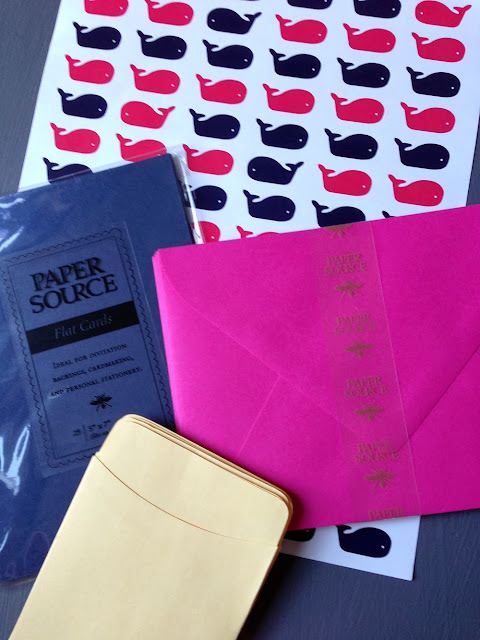 I am in love with these DIY envelope liners. Carissa sent me a .pdf of the whales that I printed out and cut to size using Paper Source's envelope liner template kit. The kit has a template for every size of envelope that Paper Source sells, which are standard sizes found in most stores. You simply trace around the template on whichever paper you want to use for your liner. I'm seriously doing this for all invitations from now on! 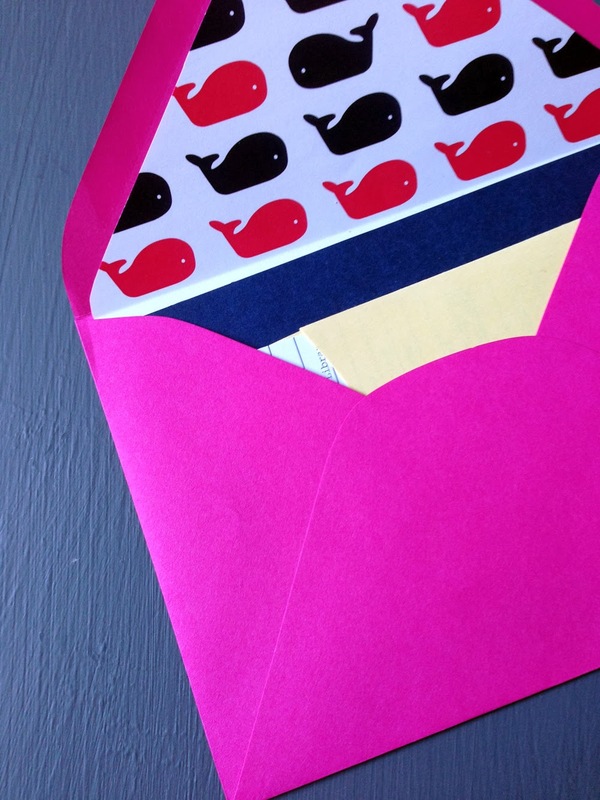 A liner really adds something to a piece of mail, don't you think? A plain inside of an envelope looks so boring to me now. The mother-to-be requested a "library shower," which means that instead of a card, each guest brought a children's book with a note written inside. 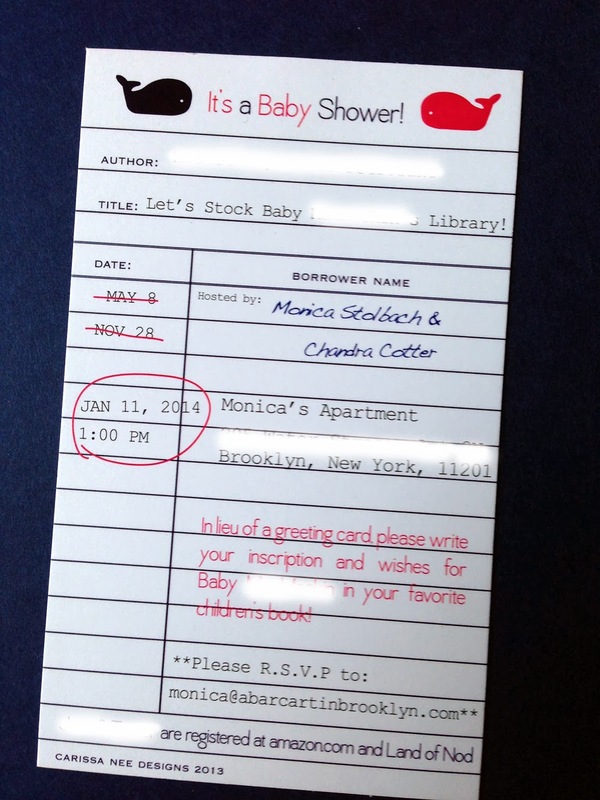 To get this across, Carissa designed the invitation to mimic a library catalog card. The manilla pockets from Quill. The flat cards are from Paper Source. The invitations and liners were printed by Remsen Graphics, a local business here in Brooklyn.